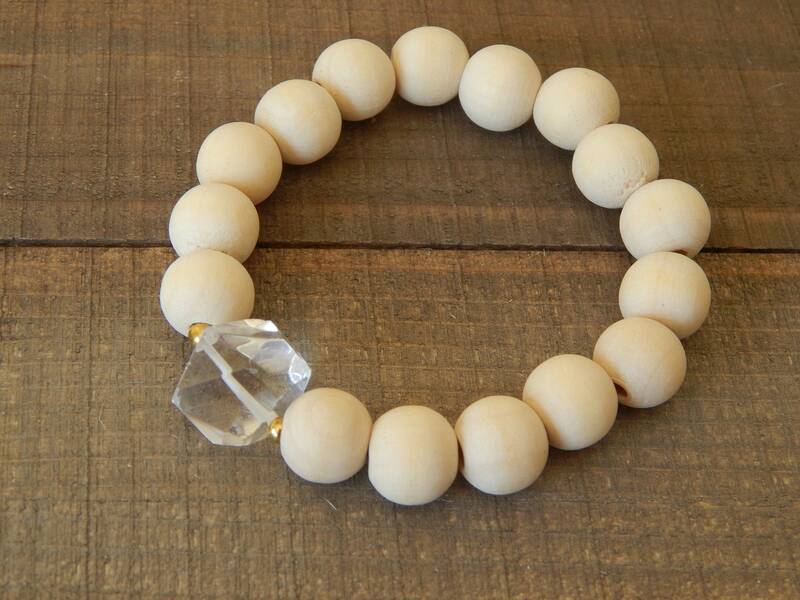 Raw wood beaded stretch bracelet with a crystal nugget bead lend this bracelet its earthy organic elegance. 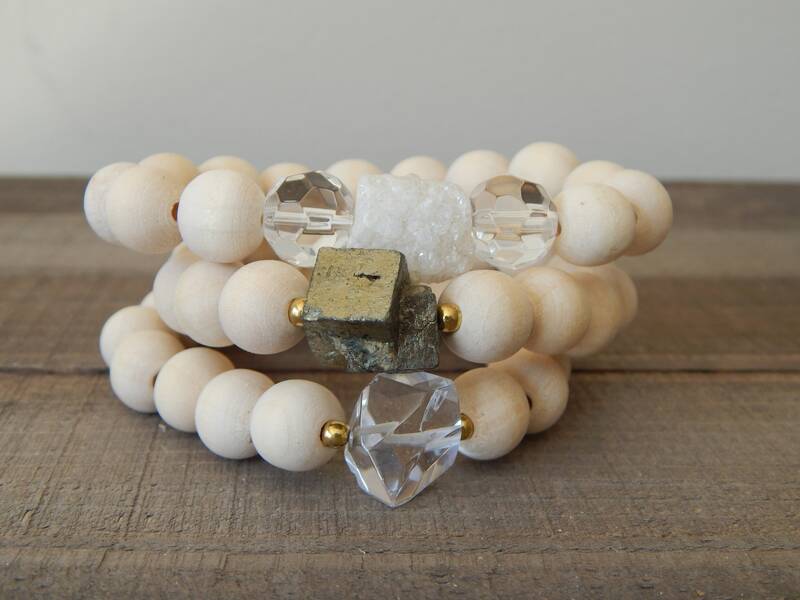 The neutral earthy colors will make this easy to stack with others or wear alone as a statement piece. 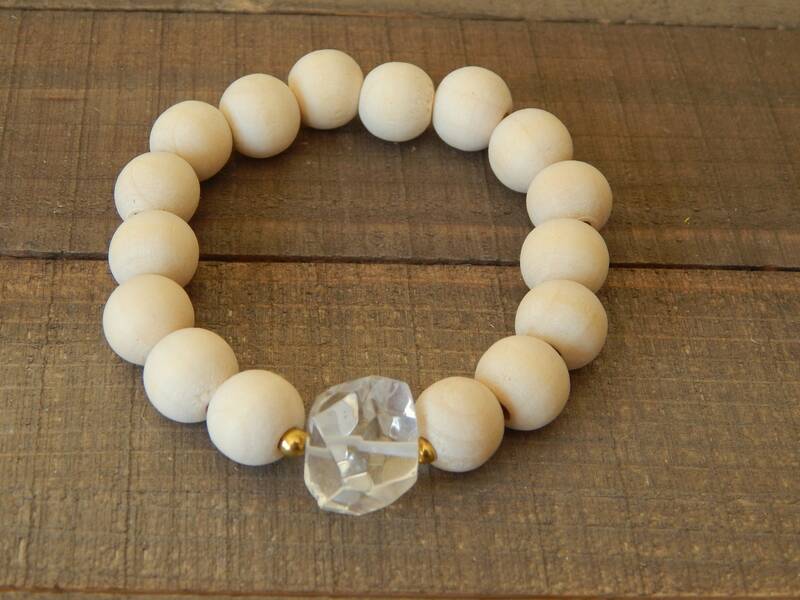 Listing is for the crystal nugget bracelet only. 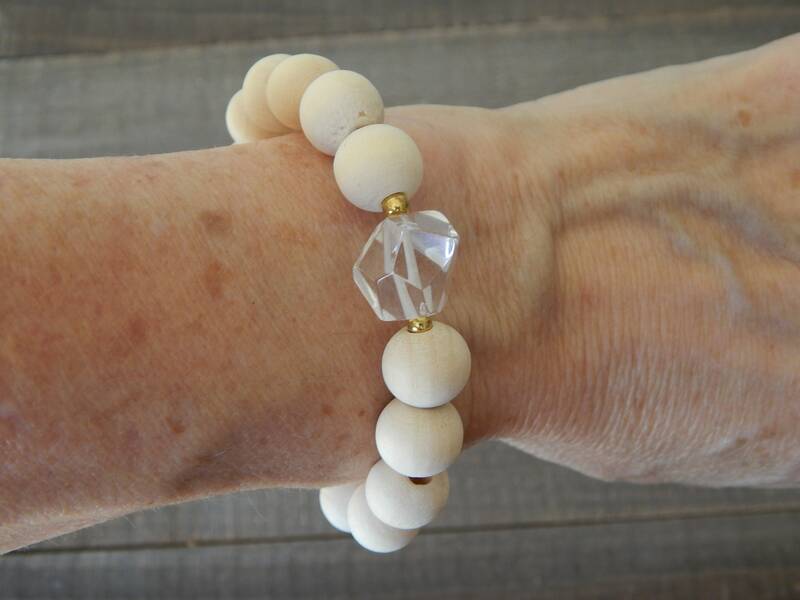 The others can be found in my shop.